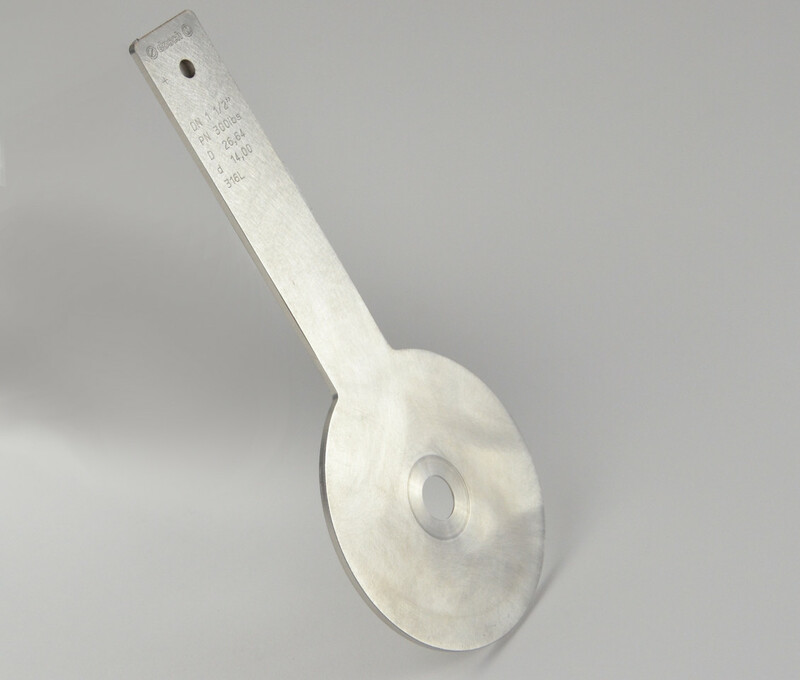 Orifice plates BLS 100 are flow elements used for flow measurement of aggressive and non-aggressive gases, steam and liquids, especially in large pipes. Pressure taps may be positioned in the flange blade or in the pipeline. The distance to the orifice plate cannot be chosen freely. In special cases the pressure taps may be positioned as corner tapping in the flange blades. You would like to have a complete package including orifice plate, pressure taps and inlet/outlet pipe? Then we recommend our meter runs! The measuring uncertainty depends on the process conditions and amounts to approx. 0,5% – 1,2% of the discharge coefficient. 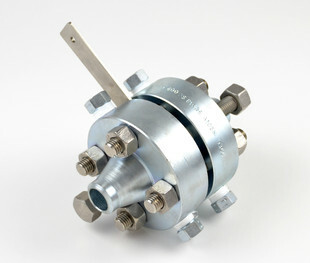 Orifice flanges are specially manufactured for the differential pressure flow measurement. The pressure tap bore holes are located at a specific distance in front of/behind the orifice plate. Typically, orifice flanges are manufactured according to ASME B16.36 or DIN 19214. We can supply other standards as well such as NORSOK or JIS. We can offer a complete package including orifice flanges, shut-off valves and/or manifold.